Director, producer, writer and cinematographer, Nikolaus Geyrhalter was born in Vienna, Austria in 1972. Geyrhalter's static-camera, well-paced observational films tackle their subjects head-on, whether it's exploring the terrain in Chernobyl, Ukraine (Pripyat), tracing the route of the Dakar Rally (7915 Km), or investigating the production of processed foods (Our Daily Bread). 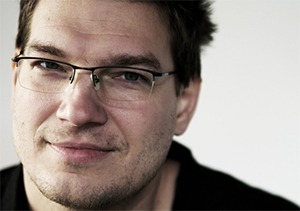 At the age of 22, Geyrhalter started his own production company, Nikolaus Geyrhalter Filmproduktion (NGF). He made his first film, Eisenerz, in 1992. Two years later Geyrhalter shot his first documentary, Washed Up (Angeschwemmt). Audiences, jurors, and critics took notice of Geyrhalter with Pripyat (1999), which won the SCAM Award at the Cinéma du Réel Festival and the Grand Prize at Diagonale Graz. He followed Pripyat with the epic four-hour globe-hopping documentary, Elsewhere (2001). The film screened at Thessaloniki Documentary Festival, the Toronto International Film Festival, the Jihlava Film Festival, and won a Special Jury Award at the Amsterdam International Documentary Film Festival (IDFA). His next feature, Our Daily Bread (2005), won a Special Jury Award at IDFA as well. In the following decade, Geyrhalter examined night labor in Europe with Abendland (2011) and landscapes of urban decay across the world in Homo Sapiens (2016). The latter film played at the Berlinale Forum, the Hong Kong International Film Festival, the Cinéma du Réel Festival, the Edinburgh International Film Festival, Karlovy Vary International Film Festival, and the Viennale. In 2015, Berlin's Arsenal Cinema programmed a retrospective dedicated to his work. The 38th Cinéma du Réel Festival programmed a sidebar on his documentaries. Geyrhalter's films have also screened at the Museum of Modern Art's Doc Fortnight. CERN - Multi-award winning director Nikolaus Geyrhalter delivers stunning images from inside the immense CERN apparatus. Six Films by Nikolaus Geyrhalter - Geyrhalter’s static-camera, well-paced observational films tackle their subjects head-on and are nothing short of startling works of art.